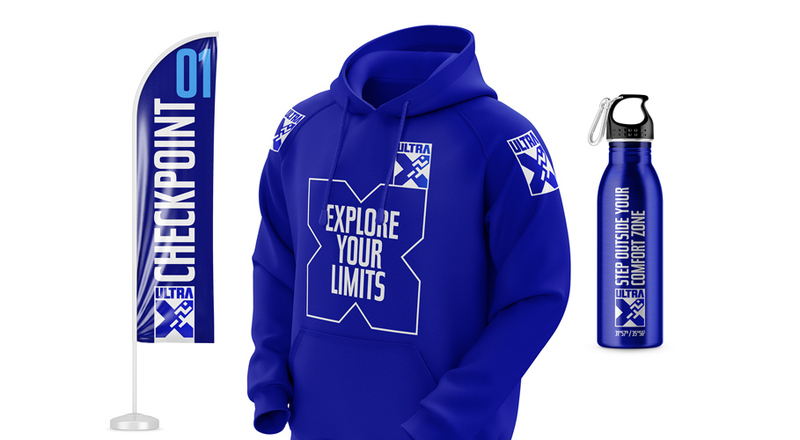 Ultra X, the new ultra marathon series, runs five day, 250 kilometre races globally, with a view to appealing to people of all levels, from running “novices” to long-distance “experts”. We Launch have designed the branding for the group and have avoided the “masculine” image associated with similar events. 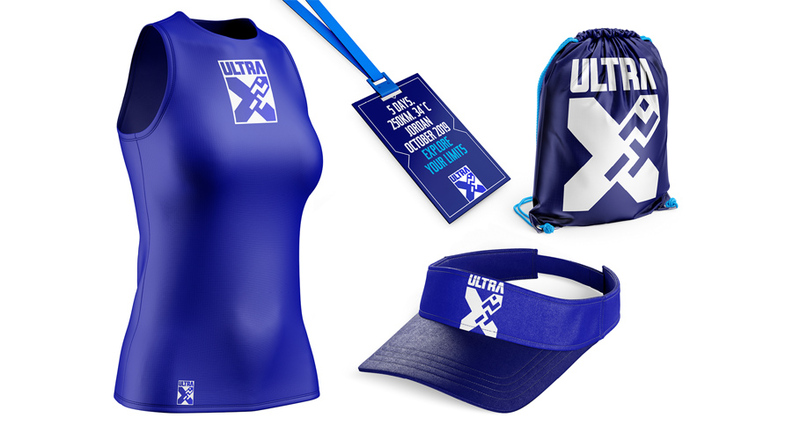 Ultra X is a series of “ultra-marathons” which means that they are longer than the traditional marathon race distance of 42 kilometres (26 miles). The group hosts races that are 250 kilometres long which take five days to complete. There are races scheduled in Mexico, Jordan, Sri Lanka, Bolivia, China and Azores in 2019 and 2020. 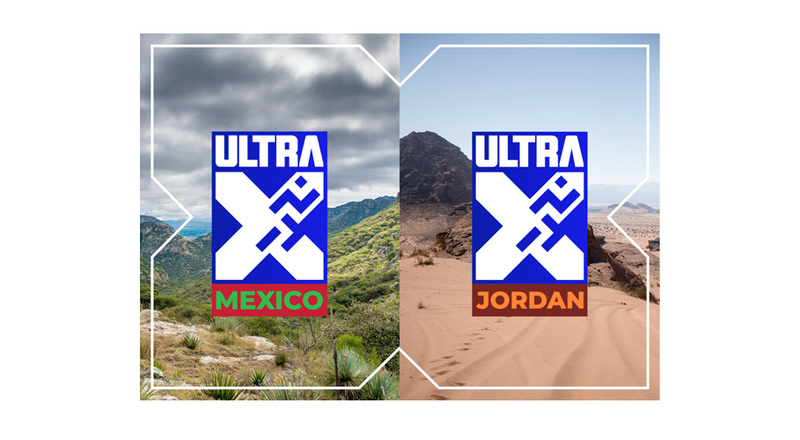 The idea is that by hosting worldwide races competitors will not only experience the sporting accomplishments but also travel experiences too, say Ultra X. The group was founded by the same people who were behind the Wadi Rum Ultra in Jordan, which is a five day trek across the desert. 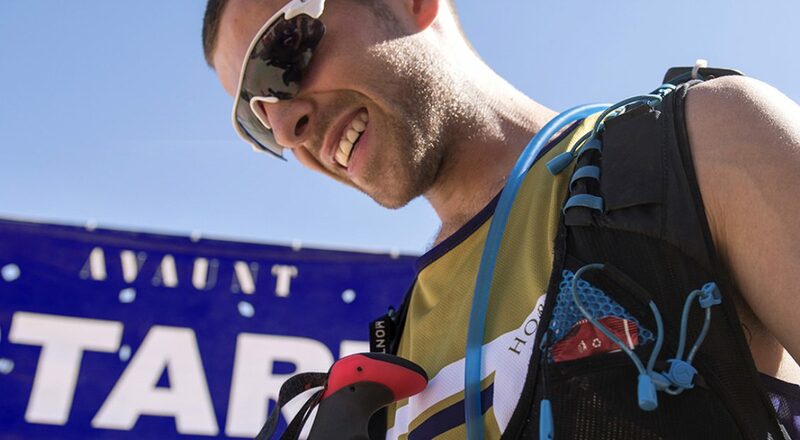 The new ultra marathon brand intentions are to make “multi-day racing accessible to all”, says creative director at We Launch, Stuart Lang, so has three different levels of participants; rookies who are new to ultra competition, allegiants, who have competed in them before and pros, who are experts in the field of ultra competition. The studio were keen to avoid the male-orientated trends, such as a colour palette using red and black which are regularly seen in ironman competitions, says Lang. The logo itself has a colour palette of blue and white and is set in bold, sans-serif typeface Holmkvist in all caps. Underneath this logo is an “X” symbol, which contains a two-dimensional person running inside it, which has carried across from the Wadi Rum Ultra brand that aims to be a “well-recognised” and “unisex” graphic symbol for running across the globe, says Lang. The logo is adapted to whatever country the event is being hosted in by showing the country name underneath in the national colours. The “X” symbol used within the logo is blown up and is used as a simple line-drawn framing device which will hold imagery and text. The headline font for the branding is sans-serif typeface Tase which is set in all caps, chosen as it is “lighter” and “more condensed” than the “chunky” logotype, says Lang. 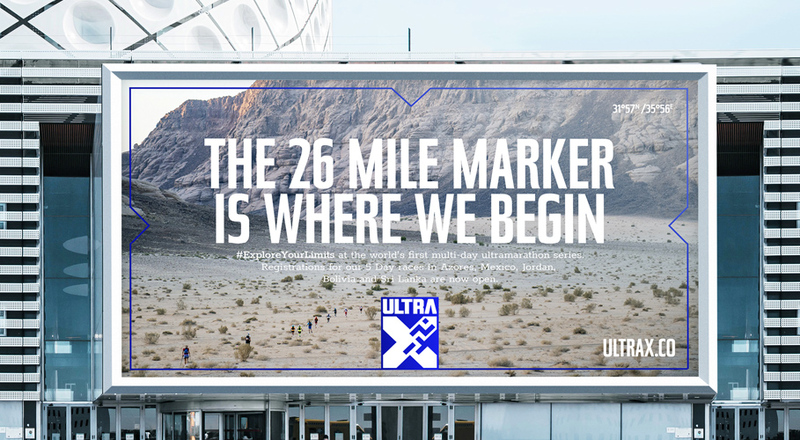 The marketing for Ultra X uses landscape photography from across the world, with global co-ordinates used on some of the posters in the top left hand corner. “We needed to appeal to all types of runners. We made the visual language about the actual locations and epic landscapes and chose a colour palette that wasn’t being used in the endurance sport space at all; the blue and white feels calm and serene, it’s almost Scandinavian in feel,” adds Lang. Lang says that the brand had to be personalised to each country to allow the hosts to “take ownership” of the brand, which is the reason why place photography has been used and a secondary palette has been inspired by national flag colours. “Emotive” headlines are used within the branding, with the message to people of different abilities to “explore [their] limits” by pushing themselves physically while explore new places. “People build up with their challenges. You start with a 5km, then a 10km, then a half-marathon, then a marathon. People get that bug and want a new challenge. Also, people are not forced to run, they can walk or take part in other ways. We wanted this to appeal to novices and rookies, those people who have done a few long-runs and marathons, and the elite,” says Lang. 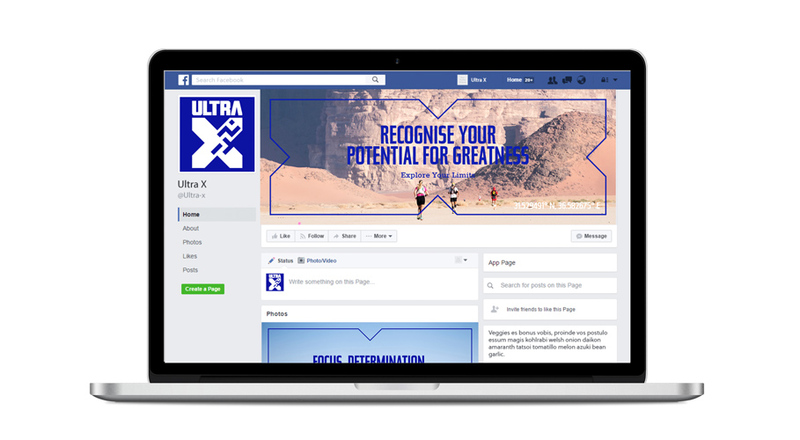 Ultra X is currently rolling out their new branding across all touchpoints, taking in their website, social media, merchandise, print, digital advertising, brand guidelines and a brand film.